Bestari Heights by KSL | Who Grab The Last Cluster House? 10 mins to Educity, Puteri Harbour. 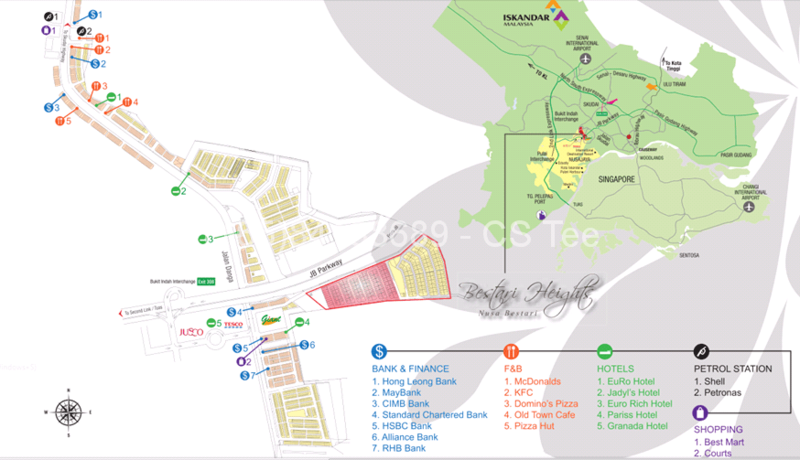 Conveniently nested in the center of Nusa Bestari, Bestari Heights offers tropical paradise resort living just minutes away from bustling shopping area and easy access from Woodlands causeway (via Costal-Highway) or Tuas 2nd-Link (via exit 308C). From the JB custom, it takes only about 16min (based on my travel on Dec15 Saturday, 2:34pm with normal traffic flow via newly constructed Costal Highway) to Bestari Heights, with only two traffic lights along the way. Besides Costal Highway, Bestari Heights is also easy access to the North-South Highway, Skudai Highway, Perling Interchange and Second Link Interchange to Singapore. Bestari Heights is within 5 minutes walking distance to GIANT Nusa Bestari, Tesco Bukit Indah and Jusco Bukit Indah for your daily necessities and convenient groceries shopping. The Final Phase release of 172 units landed houses, i.e 170 units of Cluster Houses and 2 units of Link-Bungalow (Semi-D). Cluster Houses Build-up area 3,528 (Type D, 160units) and 4,436sqft (Type D1, 12 units) for selection. 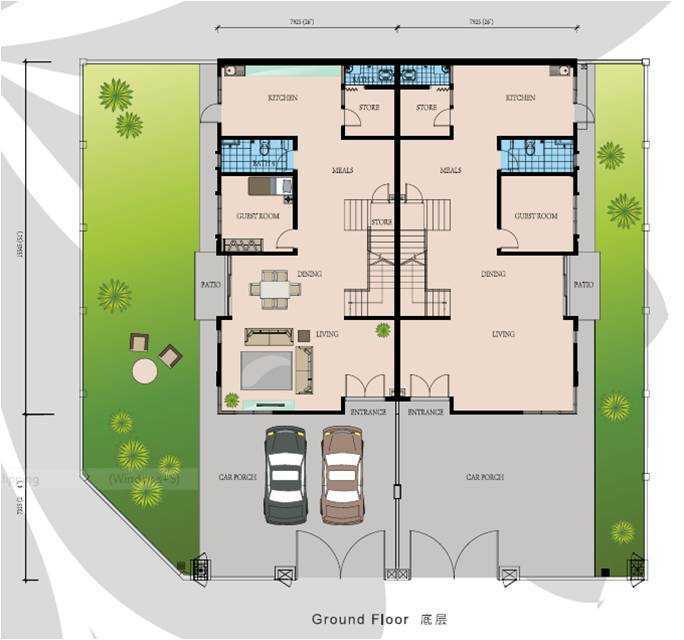 Moreover, all 5 bedrooms come with attached bathroom for more privacy! The only two Semi-D in the final phase release, build-up area: 4,043sqft. 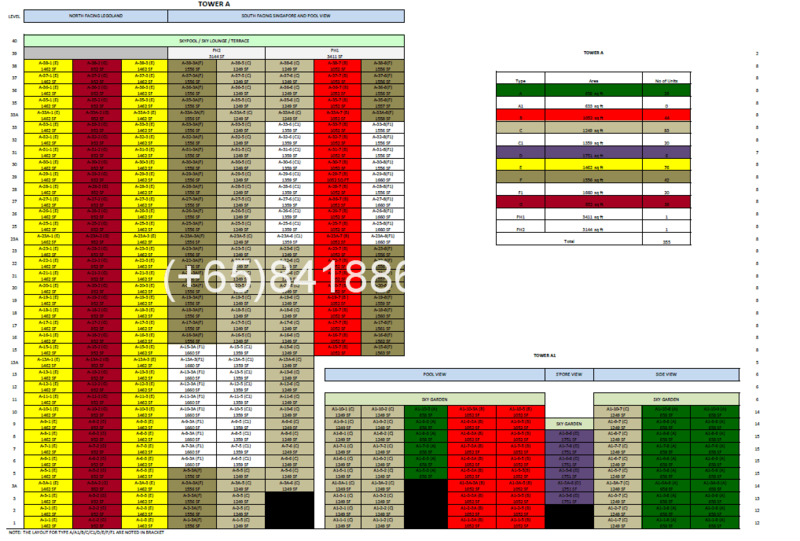 In an exclusive township, all Bestari Height’s previous phases have been overwhelmingly fully subscribed. This is the final phase release of this popular development. However, despite of the fact of Final Phase release, and being the Freehold (Foreigners Eligible) landed house, Bestari Heights is still selling at very attractive prices. 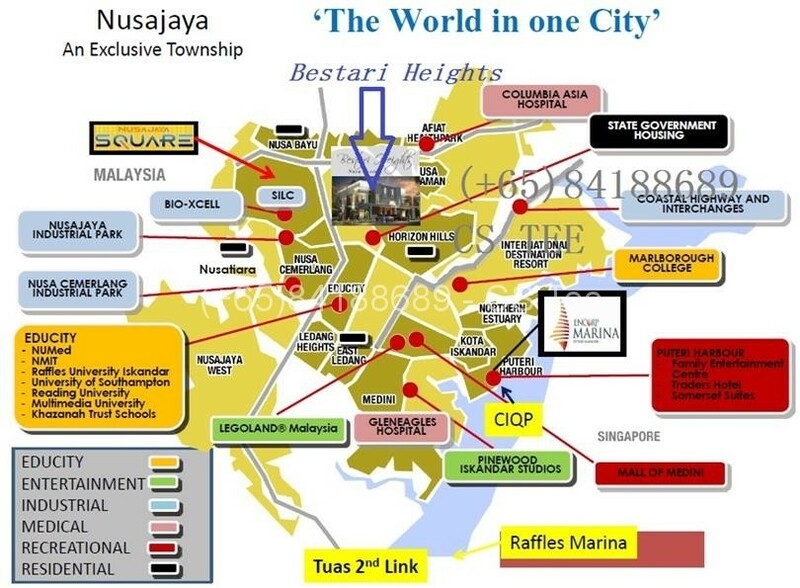 Why Bestari Heights at Bukit Indah/ Nusa Bestari? •15 minutes to Singapore through Second Link or Causeway Link. •10 minutes drive to Legoland, Traders Hotel, Indoor Theme Park, Puteri Harbour & Marina satellite Clubhouse, New Johor Sports Stadium, Horizon Hills Golf Course and many more. 15 minutes drive to International Destination resort. •Just minutes drive to Jusco/Aeon, Tesco, Carrefour and Giant Hypermarkets. •Sutera Mall, Bestmart, Plaza Tasek, Perling Mall, Johor Premium Outlets (JPO), Lifestyle Retail Mall @ Medini North. Only 2km to Bestmart! Bestari Heights is strategically located at the heart of Nusa Bestari, and just minutes walking distance to Giants, Tesco & Jusco(Aeon) Superstores. Other nearby amendities including 7 banks, foods and shopping.